The comment of Georges Clemenceau, premier of France during World War I, that war is too important to be left to the generals was a sage observation even amid the total war in which his nation was then engaged. The importance of maintaining a strong sense of political purpose and political control can be appreciated by contrasting Clemenceau’s France with what was happening in Germany. There, General Erich Ludendorff, who held the title of quartermaster general, functioned during the last year of the war as almost a military dictator of Germany, with his influence extending to domestic and economic policy as well as operations at the battlefront. The warped political perspective involved had echoes in Ludendorff’s postwar activities, which included his pushing the “stab in the back” explanation for Germany’s defeat, his participation in Adolf Hitler’s Beer Hall Putsch, and his propounding a doctrine in which total war is considered permanent and unending, with peace being only a brief interruption to the struggle. The importance of clear political purpose and political control should be at least as evident when a total war is not being waged and national security decisions involve the use of military resources in a more calibrated way, with degrees of risk of small military involvement escalating into something larger and costlier. It is thus regrettable to see President Trump repeatedly sloughing off to the Pentagon what should be presidential (or presidential and Congressional) decisions. The most recent and clearest instance is his delegating to Secretary of Defense (née General) James Mattis the determination of how many U.S. troops should be in Afghanistan. That delegation of authority is wrong not because civilian leaders necessarily have better judgment on such things than military officers. There is ground for criticism of Barack Obama’s handling of Afghanistan, which featured some micromanagement and in which some of his decisions about troop levels evidently were taken for less laudable political reasons. What is instead wrong about the current president’s approach is that it loses sight of the principle that militarily achieving certain things on the ground is a means, not an end. Trump’s approach fails to acknowledge the need for a military expedition to have a clear objective that is not defined in a circular, self-referential way solely in military terms. It fails to acknowledge not only the need for careful assessment of what can be achieved with military force but also whether such achievement is worth whatever costs are entailed, bearing in mind the full range of U.S. interests that may be at stake, including alternative purposes to which scarce national resources might be put. That last topic gets squarely to questions of troop levels in foreign lands. And it is a topic that the military should not be expected to try to answer on its own. The aforementioned issues are especially acute regarding Afghanistan, where U.S. forces have been engaged in war for more than 15 years. There are big unanswered questions about what is achievable, and about what would be achievable with a few thousand more U.S. troops that could not be achieved with the 100,000 troops the United States formerly had there. There are even bigger unanswered questions about what difference to U.S. interests would be made by some turning of the military situation on the ground in Afghanistan. Being stuck in history — 9/11 and all that — doesn’t answer those questions. If it’s terrorist safe havens we’re worried about, there is nothing unique about Afghanistan today. There is no Ludendorff in today’s U.S. military, but also no basis for in effect forcing the military to make political decisions. 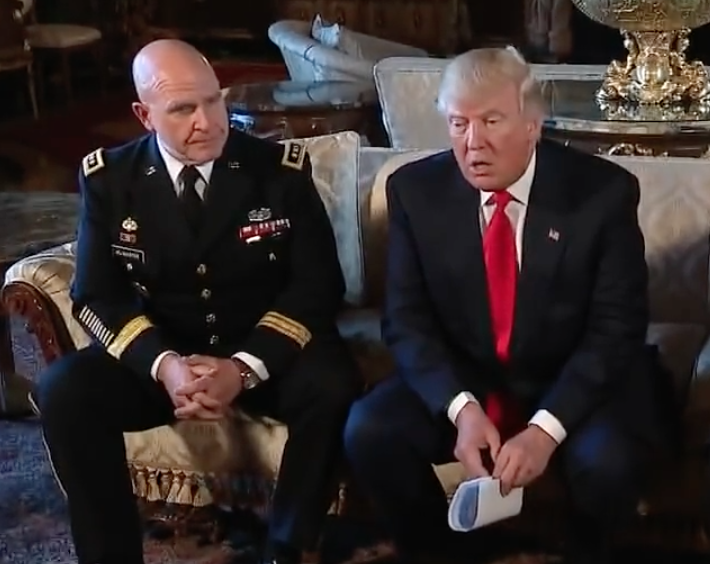 When U.S. military officers are forced to do that (and the not-long-out-of-uniform Mattis can be included with the military for purposes of this discussion), some recurring patterns have been apparent. One is that, if the United States is not already involved in an armed conflict, military officers, knowing something of the costs and pain of warfare, are often less inclined to initiate involvement than are non-veteran civilians. Another pattern is that if the United States already is involved in an armed conflict, then the professional military is quite properly trained and conditioned to do what it takes to pursue the effort until an outcome is reached at which we can say a mission has been accomplished. If officers are not given a clear mission, then they grab whatever bits and pieces from the political discourse can reasonably be construed as a mission. Or, they in effect construct their own mission, defined to involve some sort of vanquishing of an adversary’s forces. And U.S. officers will request the troops and other resources they believe they need to accomplish the mission, regardless of how shakily defined that mission is. This is often a prescription for escalation. In a situation like Afghanistan, it is a prescription for endless perpetuation of involvement in a conflict. And still unanswered is the question of whether accomplishing a given military mission is worth the cost. 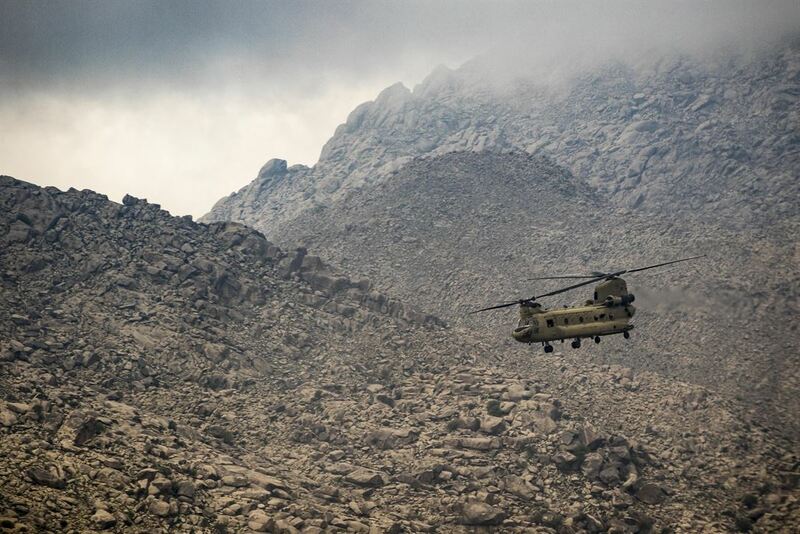 The talk one hears most often about a mission for a few thousand added U.S. troops Afghanistan is to reverse gains the Taliban have made over the past couple of years. Even if such reversal were accomplished, what exactly would that gain for U.S. interests? Congress’s shirking of its own responsibility for declaring war and specifying clearly the broad objectives of the overseas use of U.S. military forces is a background to all these problems. 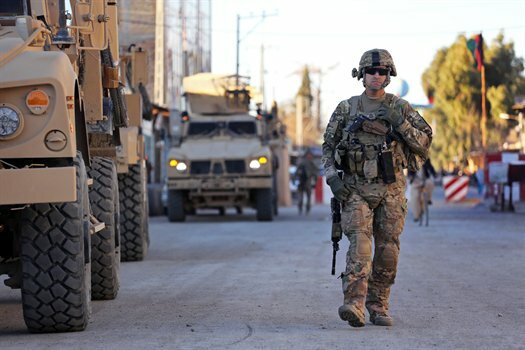 The problems entail not just troop levels in any one area of fighting but also whether U.S. troops should be involved at all in conflicts in certain other areas. Thus direct U.S. involvement in an internal war in a place such as Somalia hinges on arbitrary, and little understood by the public, presidential determinations about what should be defined as a combat zone or how relationships between certain terrorist groups ought to be labeled. As for Donald Trump’s specific role, perhaps his handing off to the Pentagon what should be presidential decisions is a tacit acknowledgment of how poorly qualified he is — by experience, not to mention temperament — to make national security policy. But the alternative to the excessive delegation is not just armchair strategizing by a real estate developer. The proper alternative is for the President and his national security adviser to preside over a full policy process involving all relevant parts of the government, including a fully staffed State Department, and that starts with careful consideration of the U.S. interests that are to be advanced or protected. As for the sort of political input that this President ought to provide in such a process, Trump should think about some of the expectations regarding war and peace that helped to win him votes last November. He seems determined to fulfill, or to be perceived as fulfilling, campaign promises when it comes to building walls, rejecting Muslims, tearing down Obamacare, or moving backward in relations with Cuba. Maybe he should reflect on how many voters who wanted less rather than more U.S. involvement in foreign wars saw him as the less hawkish candidate. What he instead appears to be thinking about is avoiding accountability. Sloughing off decisions to “his generals” means then blaming the generals when things don’t go well. He already did this after one of the first military setbacks of his presidency: the death of a Navy SEAL in a raid in Yemen in January. Expect the same posture from Trump with whatever doesn’t go well in Afghanistan.